We advice our clients in making decisions that require first class legal advice. We look after the proper functioning of the enterprises from the legal perspective and we attend meetings at the premises of our clients defending their interests in all areas of law where they intervene. We provide legal background to the management of the enterprise to enhance the success of the translations intervening in the meetings of the staff as a member of the board to give support to the direction and the management of the companies. We defend our clients in conciliations, negotiations and mediations with the legal target to avoid court costs trying firstly to sort out conflicts arisen from business activities out of court. We consider ourselves faithful defenders of dispute resolution procedures as an alternative to traditional justice. We practise study and legal advice on tax issues assisting in fiscal transactions and management of litigation in this matter. Our own team of economists and tax advisors provides in a sophisticated and professional manner highest services in the conduct of real estate investment transactions, large patrimonies and company valuations. We have particular expertise in tax settlements of very complex transactions and provide detailed studies of the most beneficial tax solutions for our clients. We advise business partners and enterprises in all areas of company law: constitutions, liquidations, bankruptcy, drafting and amendment of statutes. Representation and assistance in meetings, judicial disputes on social agreements, social responsibility actions of managers. We advise our clients on legal aspects to all transactions of purchase and sale of real estate. We advise them on negotiations regarding the financing of their building projects, carrying out feasibility reports to real estate transactions. We advise on tax issues by carrying out legal reports on tax implications for buying and selling properties and take care of the maximum optimization of the transactions. We draw up your rental agreements, supervise and develop business contracts on management in various sectors especially in the hotel and catering sector. We provide legal assistance to our clients in all areas of criminal business law whatever may be the company, the partners, the leaders or the groups. We assist our clients in the practise of private prosecution and provide them with legal defence in the main criminal proceedings that may affect the exercise of commercial and business activity by drawing up criminal complaints, reports, attendance at oral hearings, appearances in court, etc. We advise our clients and exercise legal defence in: Dismissals, claims for payment and procedures for restructuring of staff and collective dismissals. We have special experience in the preparation and defence of dismissal procedures for fraud and disloyalty of employees where most of the cases are mixed with different disciplines of labour law or economic crimes or fraud in general. Our law firm has the support and infrastructure of a powerful and strong network of excellent law firms distributed throughout Europe. As a member of EUROJURIS International since 2005, our law firm intervenes in all kind of judicial and extrajudicial processes outside our frontier that require knowledge at community level. We advise and intervene in international processes, especially enforcements of judgments of foreign courts, European orders for payments and requests for small claims. We intervene in the legal defence of our clients in procedures of divorce and separations by mutual agreement and we advise clearly and efficiently on measures that may have consequences for the situation of the couples. We draw up clear and efficient regulatory agreements where there is no room for misinterpretations and where the good climate of understanding is respected at all times. If there is no possibility to reach specific agreements or even, if there are conflicting views between spouses or partners, we intervene in the family proceedings advising and defending our clients before the courts of justice. Evictions: Unpaid leases, claims for payment, expiration of lease. Law for Real Estates and Constructions: Cancellations of contracts of purchase and sale, refunds of payments made on account, advice and processing of purchase and sales transactions, registrations of properties. Proprietary interest in cooperative dwellings: Legal defence and representation for communities of proprietors, requests for payments, dispute settlement, etc. Inheritance law: Professional intervention in carrying out testate proceedings, advice on inheritance taxes, judicial proceeding to settle estate of an intestate. 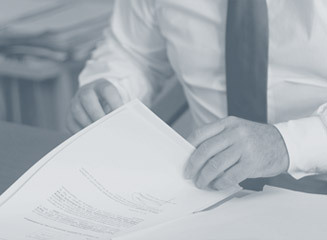 Dismissals, penalties, demands for payment, career breaks: We advise our clients in making decisions regarding proposals made by companies in processes of dismissals. We intervene in the whole procedure from the conciliation to the action before the court and we lodge appeals for reversal. Representation before the labour inspection, accidents at work, surcharges for delayed social security payments, administrative sanctions resulting from the lack of safety measures at work. We assist our clients in all phases of criminal proceedings. Since the intervention in detention centres we assist in every stages until the defence at trial. 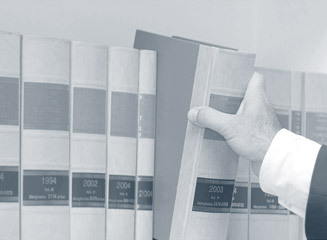 We have expertise in defending clients in procedures of crimes against traffic safety, blood alcohol level, public health crimes, crimes against workers, crimes against the person, theft, murder, gender violence, economic crime, fraud, crimes against the Public Treasury and Social Security, money laundering and corporate crime. We carry out the legal defence of our clients in cases of compensation claims for injuries and consequences resulting from traffic accidents lodging claims against insurance companies and third responsible parties requesting the highest possible compensation. Administrative claims, disciplinary proceedings, economic-administrative claims, appeals to the court. Representation and assistance at trial before the jurisdiction for suits under administrative law, property claims due to abnormal functioning of public services, expropriations.